John McGran, chief editor at Diet-to-Go, has been covering the fields of diet, fitness and health since 2000. He writes from the perspective of a dieter rather than a dietitian. We’re good at making excuses. When it comes to losing weight and getting in shape, excuses are like snowflakes – they’re all different, but they all pile up to keep you fat and unhappy. Let’s deconstruct five common excuses for not dieting or working out. 1. I love food too much! Once and for all, a diet is not about cutting out good food. A diet is about shaping a healthy meal plan that includes a tasty variety of nutritious foods – foods that are eaten in proper portions and not the super-sized servings we’ve grown to expect. Diet experts will tell you that NO food is off limits when you are trying to drop a few pounds. That doesn’t mean you can eat a package of Oreos for dinner. It means small treats now and then will keep you from scrapping your diet and returning to the eating habits that got you into trouble in the first place. 2. I don’t have time for exercise! No time for exercise, huh? Yet you do have time for all your favorite TV shows, right? And what about the hours you spend tweeting on Twitter or messaging on Facebook? The bottom line: Even if you need to rise an hour earlier each day, you DO have time for exercise. And by exercise, we don’t mean you need to join a gym or hire a trainer. Exercise can be anything from walking to jogging to working out to an exercise DVD. 3. Weekend parties and family gatherings do me in every time! Yes, it’s summer – a time of picnics, parties and poolside revelry with family and friends. But who said you must feast and overeat at every gathering? Stop equating parties with pig-outs and enjoy them for what they are – good excuses to catch up with good friends. Every dieter can afford a “cheat day” now and then, so go ahead and allow yourself a few bites of your party favorites. Just make sure you climb back on the dieting wagon the moment you wave goodbye and head for home! First off, you might want to give some heavy thought to your daily drinking. Extra weight may not be your only problem. But more importantly, if you choose to enjoy a glass or two of attitude adjustment, there are plenty of low-cal alcoholic beverages available. Lite beers now contain as little as 55 calories per 12-ounce serving! For cocktail lovers, a shot of liquor runs about 70 calories; just be sure your mixer is calorie-free. 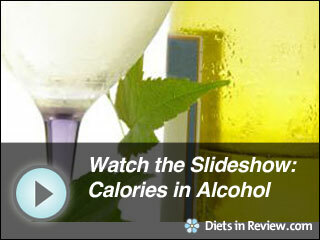 A five-ounce glass of “light” wine has just 80 calories. So one or two drinks won’t kill your diet. The trouble arises when it lowers your inhibitions and gets you craving food… and lots of it! 5. Yeah, I’m heavy… but I’m happy with my weight! There is a growing phenomenon called “fat acceptance.” On the surface, it sounds like a good message – be happy at whatever weight you are. But can anyone be truly happy knowing their extra weight has put them at a greater risk of heart disease, diabetes and stroke? I know I’m never happy wearing my “fat clothes” – especially when my fat clothes are too snug! I’m also never happy when my extra pounds prevent me from sitting comfortably on a plane or wedged into an amusement park ride. The bottom line: Making a commitment to get in better shape doesn’t have to be a hardship. All it takes is a little planning and a healthy desire to live longer and happier. See our Diet To Go review or visit Diet To Go now.